Taking good care of your credit score is important, and it’s easy if you know what to do. Here are 10 important credit management tips you need to know about. Maintaining a good credit score is important to your financial health. 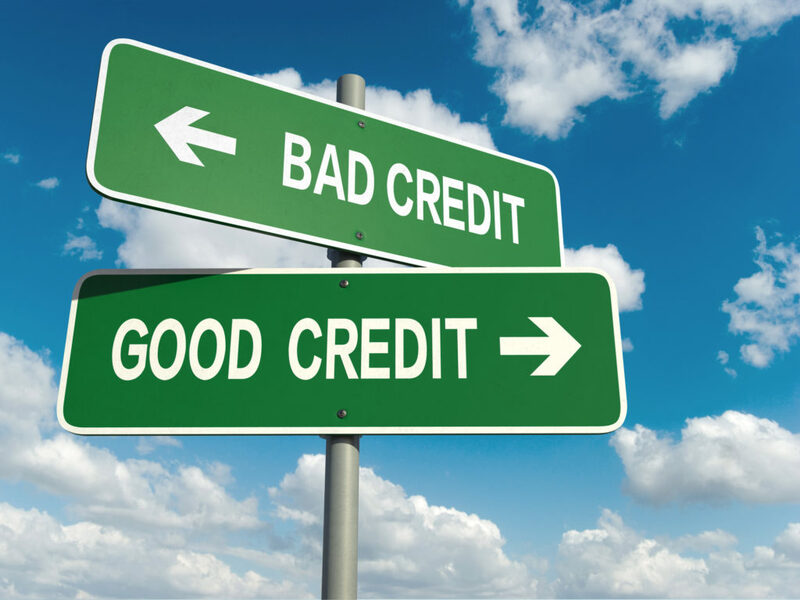 Without good credit, you could pay thousands more in interest on home and auto loans, not to mention personal loans. And, it’s nearly impossible to convince a credit card company to extend credit to you if you can’t prove that you’ll be able to make payments on time. But, how can you know where to start with credit management practices, especially if you’re just establishing credit for the first time? Maintaining good credit goes beyond making your payments on time, although, that’s a good place to start. If you’re interested in credit management tips to help you maintain or improve your credit, then you’ve come to the right place. In this article, we’re discussing ten tips that will help you stay on track and get you moving forward. Keep reading to learn more. One of the most important things you can do to maintain good credit is to know your credit score at all times. It won’t do you any good to stick your head in the sand because if something changes on your credit report that affects your score then you need to be able to react in a timely manner. You can review your credit score for free online with credit management tools like those offered at Credit Karma or other credit management sites. While sites like Credit Karma are good for periodically reviewing your credit score, you should obtain a free copy of your credit report at least once per year. You can do this by contacting the credit bureaus directly. It is suggested that you ask for one credit report from each agency, Experian, Transunion, and Equifax, quarterly so that you can see changes in your credit report. Make sure that all of the information is accurate and if you find discrepancies attend to them right away. Don’t allow things to linger on your report or it could be more difficult to have them removed later. When applying for new loans or credit cards, it’s important to make sure that the information you provide is 100% accurate. This information will report to the credit bureaus and errors could cause damage to your credit score. It’s also important to keep in mind that you should update address and employment changes as they occur to prevent inaccurate reporting. Credit management goes beyond your actual credit report and score. You should also maintain a monthly household budget that outlines expenses and income so that you know what you can afford. Be sure not to use credit to overextend yourself or you could find yourself in a financial situation that’s difficult to get out of. Make room in your budget for unexpected expenses as well. It’s a good idea to have at least three to six months living expenses saved up in case of a gap in employment or other pitfalls that may occur. Creditors look at your credit history to gain a better understanding of your financial capabilities. You need to have some credit, but not too much. Remember, don’t overextend yourself. The rule of thumb is to have no more than two or three credit cards like those offered at Bonsai Finance and one loan, such as an auto loan or personal loan. You may also have a home loan which will help prove financial stability as long as you’re making payments on time. Late payments will impact your credit score negatively and could prevent you from obtaining new credit in the future. Make sure you pay your bills on time and it’s never a bad idea to pay in advance if you can afford it. You can also set up recurring or automatic payments to be deducted directly from your banking institution to ensure that you don’t forget. A good mix of credit accounts will show that you are responsible handling multiple accounts. Credit cards are a good option for people that are just starting out, but it’s also a good idea to have a personal loan or some other loan type revolving so that creditors can see how you manage different types of credit. Don’t go over your balances on your credit cards. In fact, you should do your best to keep each balance below 30% of your total credit line. This shows lenders that you aren’t tempted to charge more than what you can afford. High, outstanding debt will affect your credit score negatively because it will make you appear to be a high-risk borrower. Keep those balances low. Be cautious when closing accounts because it could result in an increase in your overall credit utilization rate. Also, closing accounts that are in good standing can affect your credit report negatively if you haven’t had credit for very long. If there are no balances, you may be better off leaving them alone until you can establish a longer credit history. Only apply for new accounts as necessary. And, if you’re rate shopping, say for an auto or home loan, make sure you have separate lenders pull your credit within 30 days of each other. This will result in one hard hit on your credit instead of several over a period of time. Credit management is all about being as responsible as you can with your finances. You need to monitor your credit frequently and be cautious with your spending in order to maintain a good credit score. It’s also important to be aware of identity theft. Criminals are constantly looking for ways to hijack your good credit and make use of it for themselves. Make sure that you keep important information about yourself confidential and only use your social security number as required for loan approvals or similar functions. Keep these tips in mind in order to ensure that your credit stays in good standing. And, if you run into a hiccup with your monthly payments, make sure to contact your creditors and keep them informed. Some lenders will allow complimentary payment arrangements to help keep you on track. For more help to stay financially healthy, check out our blog for more posts today.